For those who know what they want. 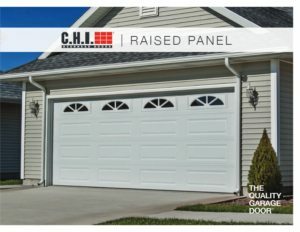 C.H.I Raised Panel residential garage doors distinct designs fit flawlessly with traditional or contemporary styles. 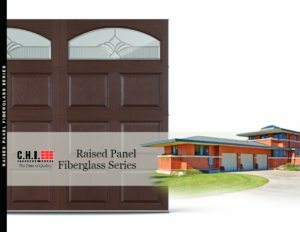 C.H.I.’s Raised Panel designs are offered in either steel or fiberglass. Insulation options include non-insulated, polystyrene insulation, or polyurethane insulation. Click on the brochures below to find the combination that works best for you.